Versatile! While this work can be successfully performed with just one class, it is a great way to feature a larger number of children playing Boomwhackers®, kazoos, and an array of classroom percussion. The recorded tracks make this very special, featuring full orchestra and much more. There are three different versions of the recording: one with full performance, one with just the orchestra, and one with orchestra and some of the percussion tracks included. Full of Ideas! 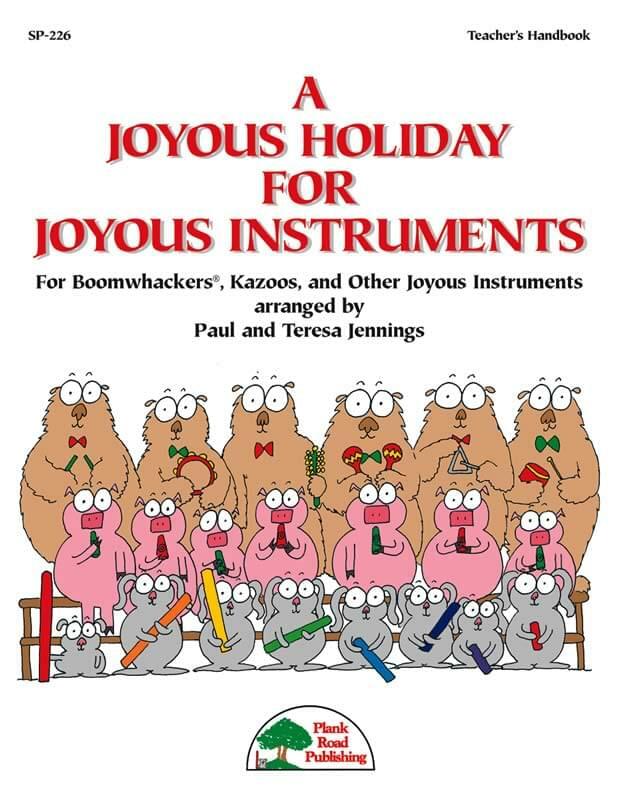 This terrific kit includes a "Conductor's Score," and separate parts for Boomwhackers®, and three percussion parts (each of which has a line for kazoos so that players who only play for a while can also play kazoo). It comes with full rights to reproduce, perform, and use as many times as you need, and it includes a high-quality Performance/Accompaniment recording. There are a number of options for using alternative percussion instruments, such as homemade instruments, and there are suggestions for staging that will make this a memorable highlight in any winter performance. The notes are detailed and include some great visual ideas.